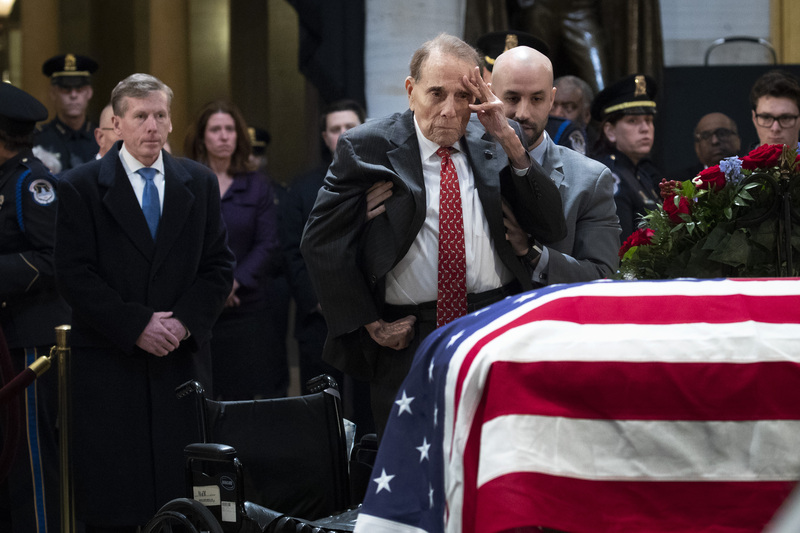 American politicians and citizens have been paying their respects to the late President George H.W. 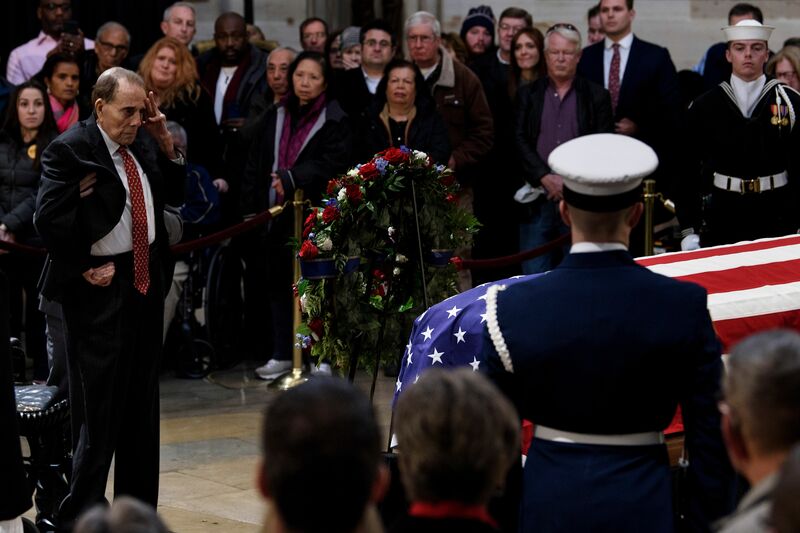 Bush, whose casket has been lying in state at the U.S. Capitol since Monday. 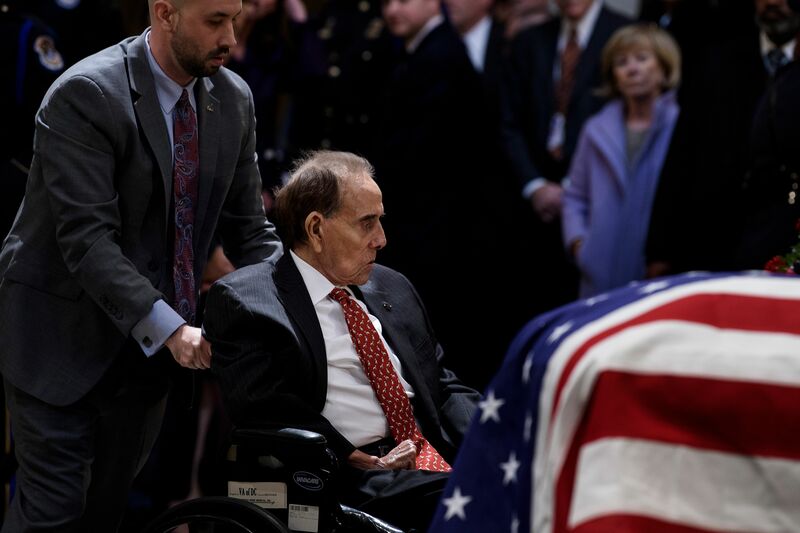 Among the dignitaries to honor Bush Tuesday was former presidential candidate and senator Bob Dole, who is 95. 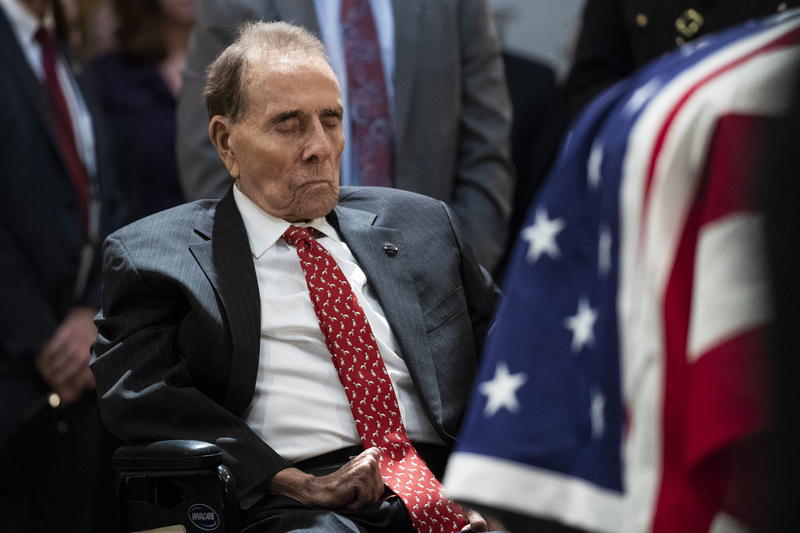 Dole, who served in World War II with Bush, stood from his wheelchair to honor the late president with the help of an aide. 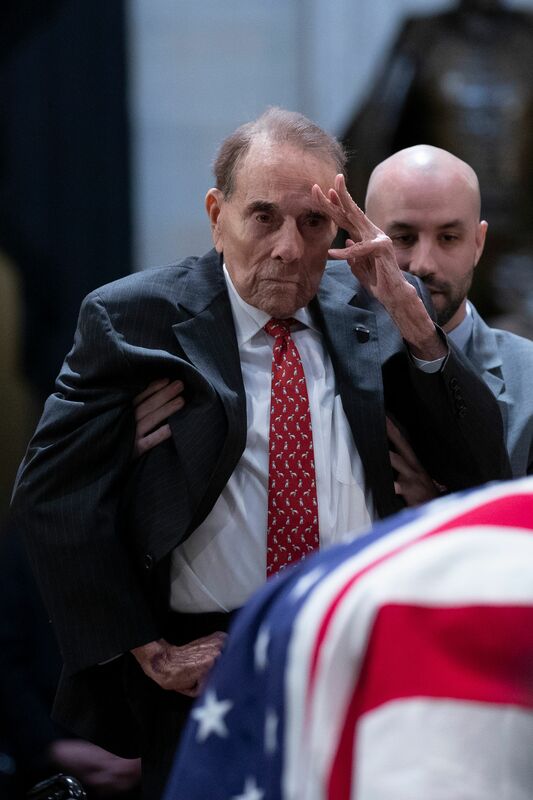 Dole saluted his fellow veteran in a powerful moment. Bush defeated Dole in the 1988 Republican presidential primary. H.W. Bush will lie in state until Wednesday morning. 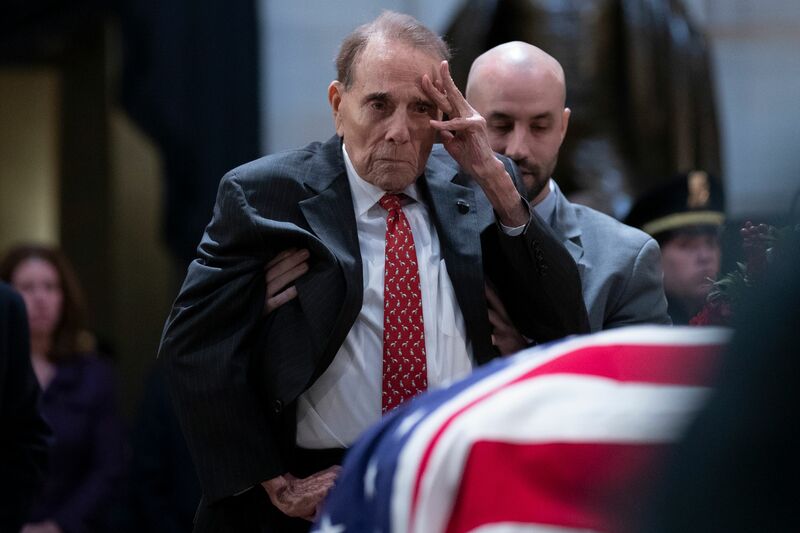 Some of the most powerful people in American politics honored him and his children and grandchildren at a Monday ceremony in the Capitol rotunda. H.W. 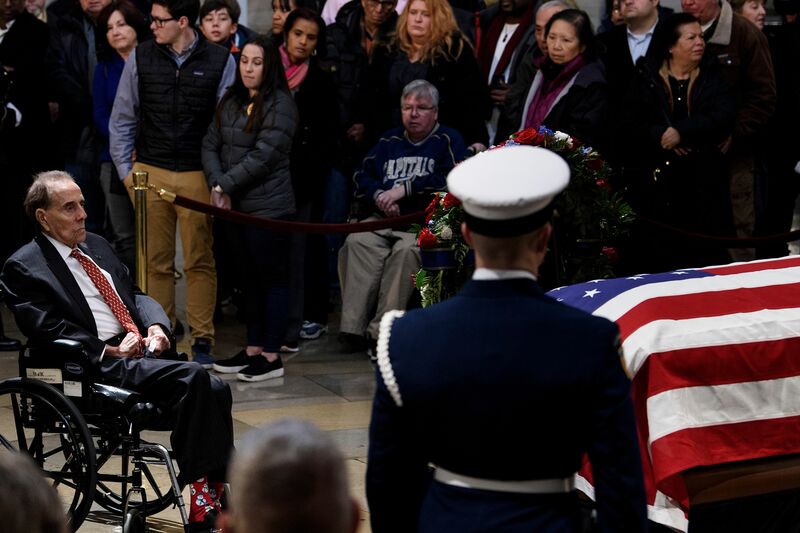 Bush’s casket was also visited Tuesday by his service dog, Sully. 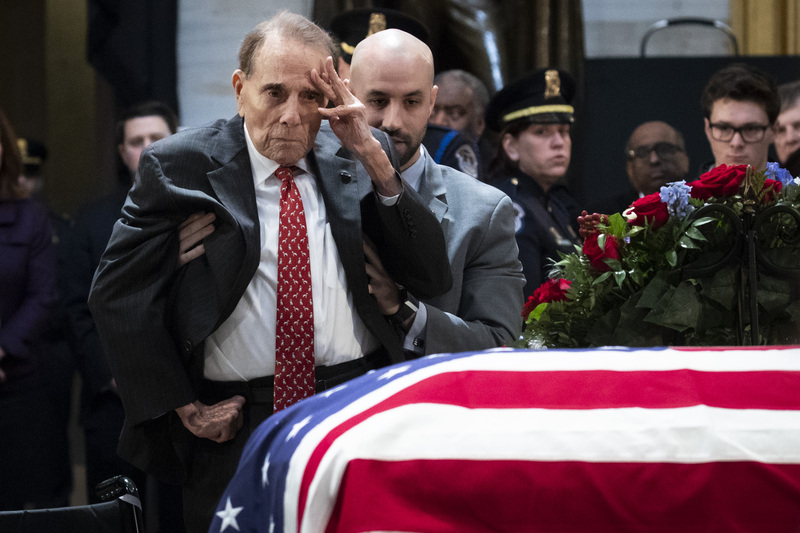 The state funeral for the former president is scheduled to take place Wednesday at the National Cathedral in Washington. Bush’s casket will then travel to College Station, Texas, to be laid to rest next to his late wife Barbara at his presidential library.